You Don’t Need The Perfect Tortilla Pan. No One Does. So Do Those Headlight Restoration Kits Actually Work? A basic understanding of physics should tell you that the Fuel Doctor–a small device that you plug into the 12-volt power outlet in your car–will not work. The gadget claims that by “conditioning” your car’s electrical systems, it increases power and gas mileage. But…why have none of the major automakers thought of this? Is it all a plot between the car and gas companies… or is the Fuel Doctor just automotive snake oil? To find out, Consumer Reports plugged the device in to cars set up with sensitive fuel mileage meters, and also tested the vehicles’ power with and without the Fuel Doctor. Their verdict? Well, there are some pretty lights on the Fuel Doctor, so it makes a nice decoration. Is Mighty Putty Worth The Mighty Price? 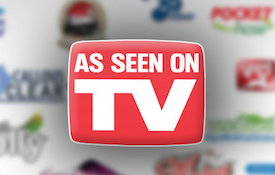 Which Infomercial Items Would You Like To See Us Investigate? How Closely Does Fast Food Need To Resemble The Ad Photo?